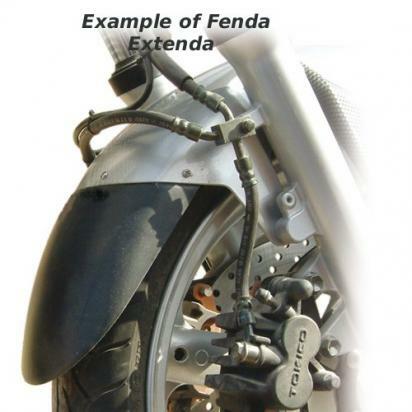 The picture below shows a Front Mudguard Fenda Extenda - Black. Thousands of other top quality spares listed on our website at refreshingly low prices. Designed to extend the rear section of the front mudguard in order to improve protection for the front of the engine, radiator and exhaust areas. All come supplied with adhesive gasket strip, screw fittings. Ready to fit.